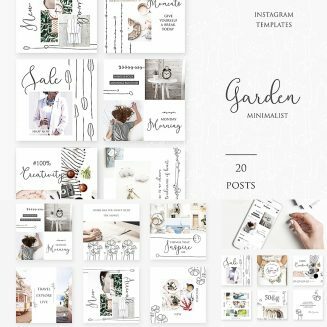 Set of 20 easy to edit PSD Templates and 20 JPEG Templates Minimalist style and gentle floral motifs will decorate your posts and please your followers. Perfect for promoting your business or sharing the best moments with your friends. File format: .psd, .jpg, .ttf for Photoshop or other software. 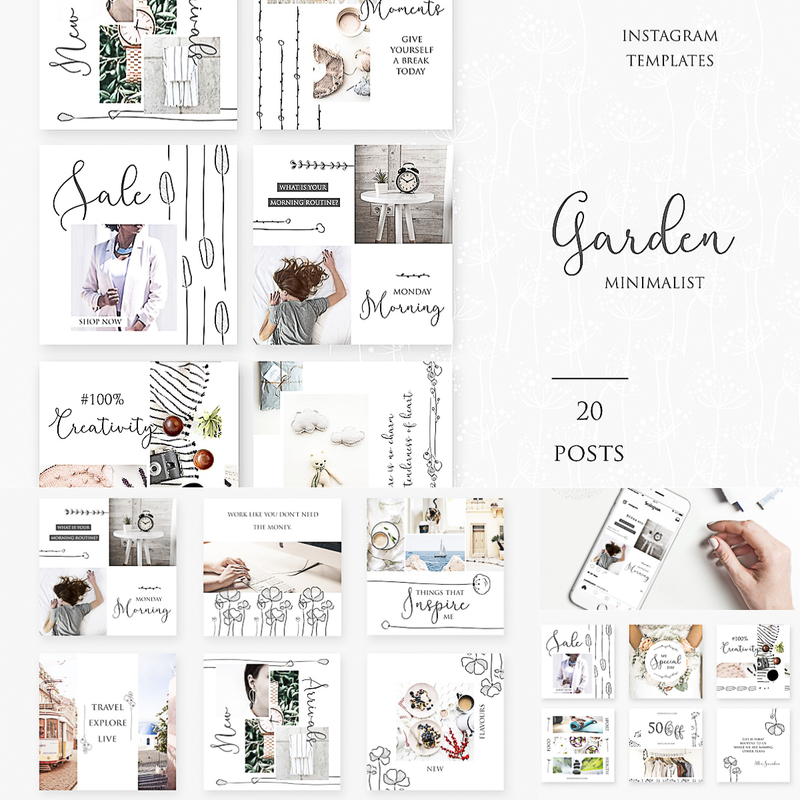 Tags: brand, feminine, garden, instagram, instagram shop, lifestyle, minimalist, mood, mood board, shop, social media.